Camp with a fraction of the effort! Home > Blog > Camp with a fraction of the effort! Okay, okay, so the summer season may be officially over at this point—but there’s still a flood of beautiful weather to soak up here in northern Wisconsin. To follow suit with the last three Mondays on the Everything Summer Camp Blog, today I’d like to give one last idea for squeezing every last drop of fun out of our fine September weather. 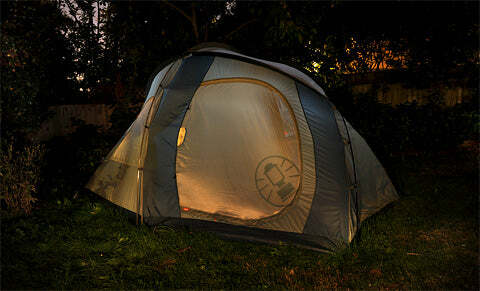 Idea #4: Backyard camping. Sleepovers/slumber parties are a great way to say goodbye to the summer season. Do it up in style and break out the tent one, last time—weather (and parents) permitting—to spend the night in the outdoors before it gets too cold! Even if you don’t end up spending the whole night out there, it’ll still be well worth it to share a spooky story or a juicy game of truth or dare before falling asleep in the backyard. It offers the thrill of camping with a fraction of the effort when there’s a clean bathroom and full refrigerator a few steps away. 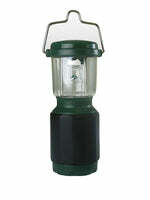 Brighten up your tent after dark with the great Camping Lantern from Luminaid (available right here at Everything Summer Camp) and you can play cards, Battleship, Chess, and board game you like as long as you have enough room in your tent. Summer may be over, but you don’t have to say goodbye to camping quite yet. Since we only sleep in them occasionally, tents are inevitably fun and exciting shelters in which to spend the night. Great memories are made inside of them! Who knew the backyard could be so thrilling? Well, that’s the last of our ideas for summertime activities in September! Good luck wringing the season dry of its fun, Summer Lovers! And, as always, thanks for reading.